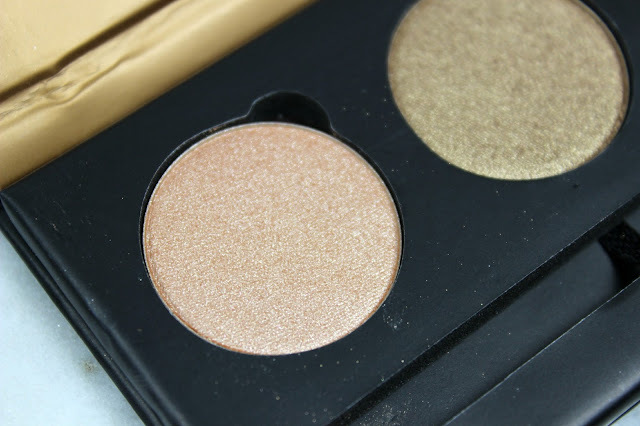 The small compact is no bigger than my hand and is housed in a black cardboard packaging with a magnetic closure - it comes with a mirror on the side which is of a decent quality for such a small palette so that gets a point from me. 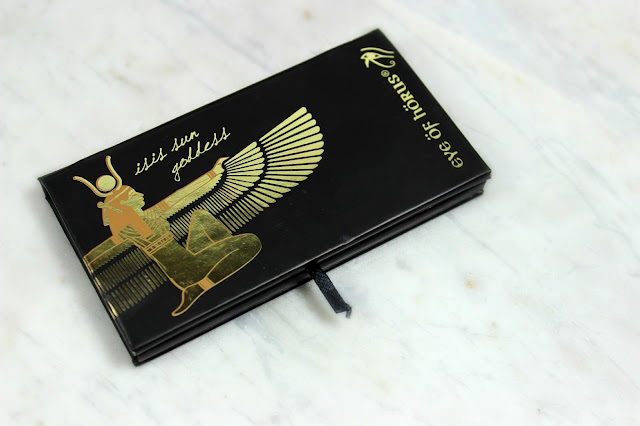 On the outside is an egyptian looking picture with isis sun goddess and Eye Of Horus written in gold metallic writing which looks lovely. It comes with a little black ribbon to make it a little easier to open the palette - this would be the only thing I can think of that i'm not majorly keen on as my ribbon has already started to fray. Another thing would be they could've included a mini eyeliner instead of the brush as I rarely use the little brushes that come with these kinds of make up palettes but I guess that's just my personal preference. Next onto the important part - the shadows. I have absolutely no negative things to say about the shadows, they are all beautifully pigmented, creamy and easy to blend - perfect. 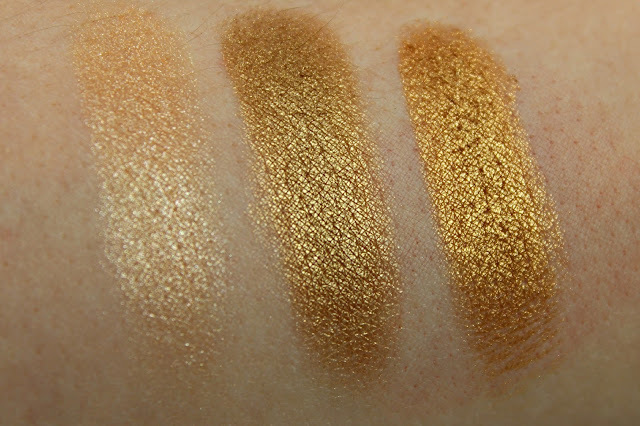 If you love the bronzey, golden tones this is the perfect travel friendly palette for you - just chuck a blending brush in your bag and put a bronzer in the crease for the transition shade and you're away! I've been having a browse on beauty bay where they're stocked and they have 4 palettes in total all retailing for £22.50 which for a higher end make up product I think is pretty good considering if you were to pay for three mac eyeshadows they would retail to over £30. 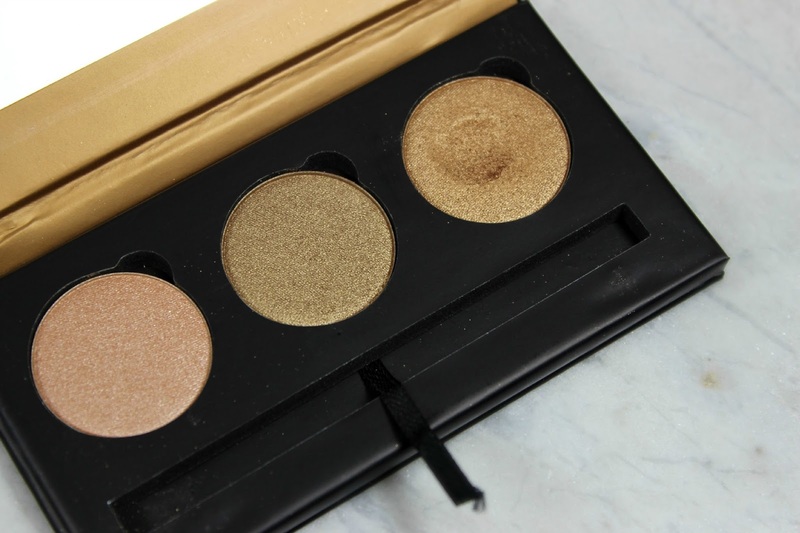 The palettes they have are; Isis Sun Goddess, Sekmet Smokey, Maat Dark and Sheba Mystical which is absolutely stunning and I've got my eye on this one! Isis is the Goddess of Magic and Creation, and with Isis Sun Goddess Eye Shadow Palette, full creative control is permitted. 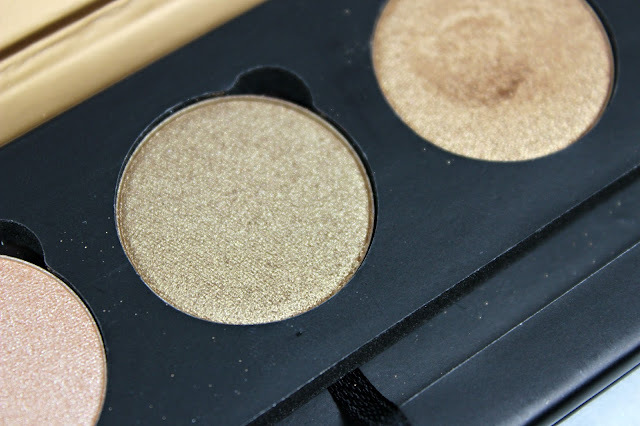 The Eye of Horus illuminating range of eye makeup is based on Ancient Egyptian formulas, containing natural ingredients such as Moringa Oil that is best known for its regenerating powers. 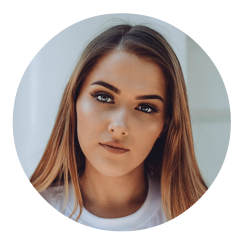 Recognised as the ‘Best Makeup Brand’ at the Latest in Beauty Awards, these long lasting essentials are loved by professional make-up artists & celebrities, offering formulas that are perfect for sensitive eyes. Our hero? Goddess Pencil in Smokey Black– The perfect choice for flawlesss tight lining & eye lining. 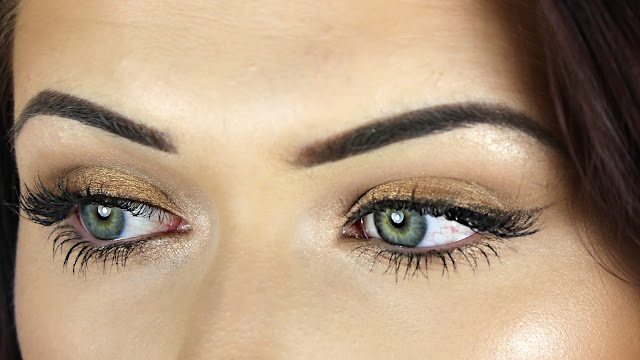 Watch a tutorial of me using the Sun Goddess palette here. *This post contains a press sample.